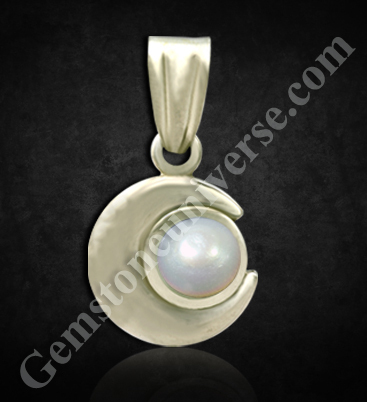 Featured today is a natural and organic Australian pearl of 3.55 carats set in sterling silver as a Moon talisman pendant. The allure of the natural pearl pendant is enhanced by the design where it sits gently nestled in the womb of the crescent moon. The button shaped Natural pearl is a radiant white in color and has a good pearly lustre. 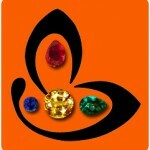 The good jyotish weight of the natural pearl is a big draw. 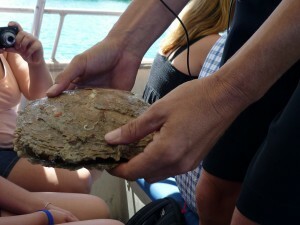 The Australian natural pearl is produced by the oyster – Pinctada Maxima. This is one of the largest pearl producing oysters and grows generally, only one pearl at a time. A natural South Sea Pearl usually takes four to six years to grow. These natural pearls are valued for their superb lustre which is the by product of good quality, thick nacre characteristic to these oysters. Pinctada maxima incidentally provides the best mother of pearl too. Be careful while buying however, for all South sea pearls are not natural pearls. With the cultured pearl industry booming, insist on X ray and radiography report of the pearl to ascertain genuine goods. The quest for precious gems has led human beings to explore their own extremes. 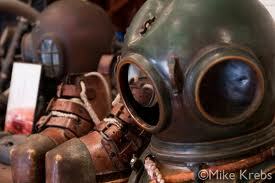 Take a look at the pearl diving equipment. The divers used this equipment along with other weights adding up to a good 130-140 Kilos to keep them steady on the seabed while they scoured for pearl oysters! Natural Pearl / Mukta/ moti is the gemstone of Planet Moon / Chandra and is crafted in silver to harness the energies of this planet.